What's On It: Toasted housemade burger bun, Sunny's demento cheese, half-pound all-beef patty, lettuce, and onions. What They Say: "Sunny's demented take on the traditional pimento cheeseburger. 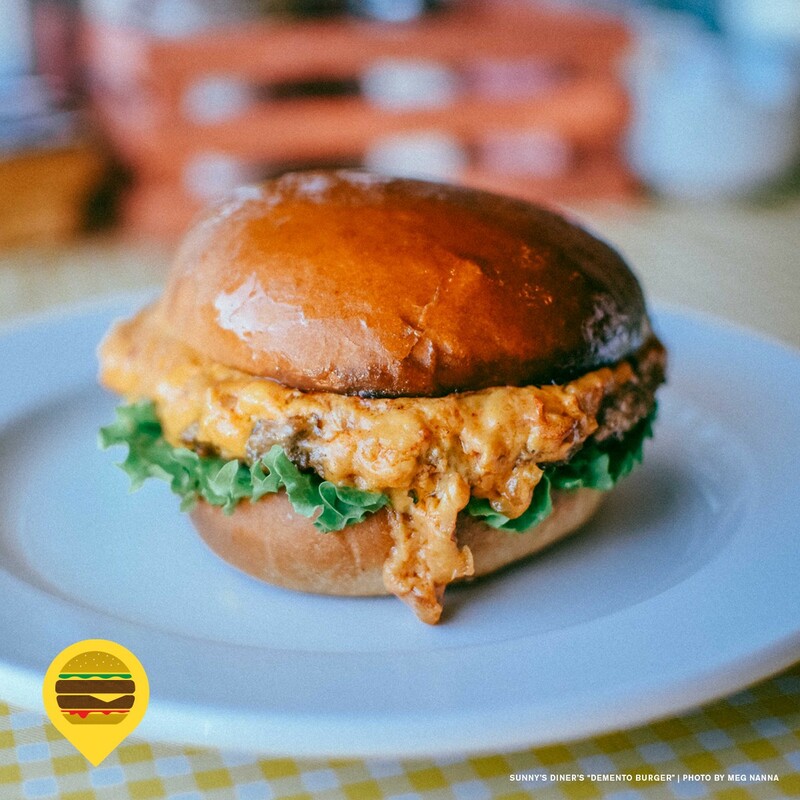 This half-pound burger is served on a homemade bun and smothered with a spicy, smoky cheese spread made with bacon and caramelized onion along with chipotle and habanero peppers. We think it's a bit demented, but we hope it doesn't kill ya!"